Dinning room is served three meals a day. At the lobby bar you will find all kind of drinks- coffee, tea, soft and alcoholic (local). the pool bar served soft drinks, beers and popsicles. There is also entertainment and a kids club that includes play areas and creativity, as well as a shuttle from the hotel to the mall and the beach. 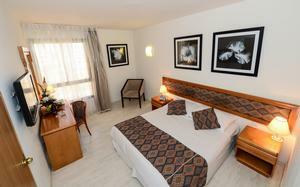 The hotel is located at the entrance to the city, just a short walk from the promenade, shopping mall, entertainment centers and of course the Red Sea coast. Wireless Internet access - free of charge in all lobby areas. * Board Basis: All Inclusive. * Receiving guests over 21. 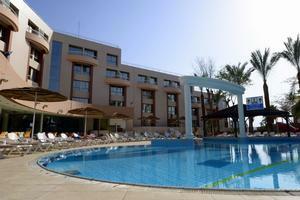 Hotel Siesta Eilat is located in the new hotels row opposite the Airport. Walking distance from all the Mall centers and the seashore.